As I sit listening to the thunder, rain, and hail outside, I’m thankful it was sunny-ish last weekend because I went birding by bike! 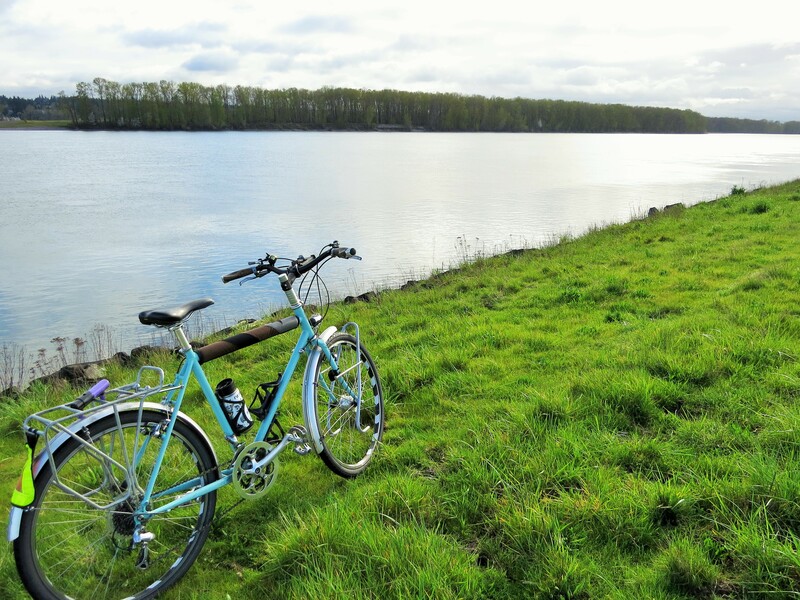 There are fewer joys greater than pedaling around Portland on a spring day. It’s taken me an embarrassingly long time to hop on the saddle to go birding, but this day I was determined to find new species by bike and opted to try my luck looping around the airport. Starting at Alderwood Trail, I locked up and walked along the calm, quiet trail. I noticed how few waterbirds there were since mid-winter. Merely one Ring-necked Duck and a couple of Mallards hanging in the slough. YAWN. Just kidding, they’re cool birds, but I was looking for something more this day. A couple of other common birds cooperated for a picture. I’m making a strong effort to figure out how to work my new camera. Normally, there are three settings on my cameras: Frustrated, Angry, and Happy. I usually have it set to Frustrated, but lately, I’ve found a couple of Happy settings. I’m counting down the days until my camera class next month (17)! 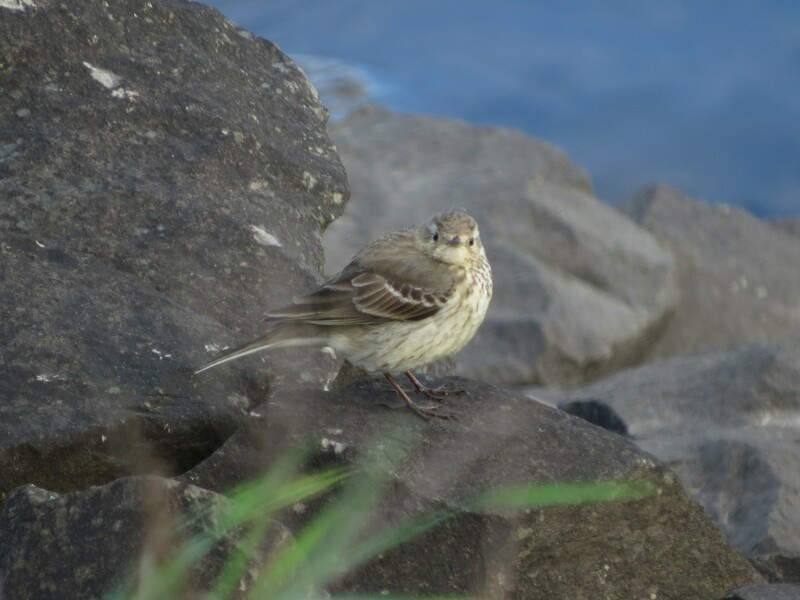 Alder Trail felt like a bust, so I moved on towards the Marine Drive Bike Path, and found a Savannah Sparrow along the way! 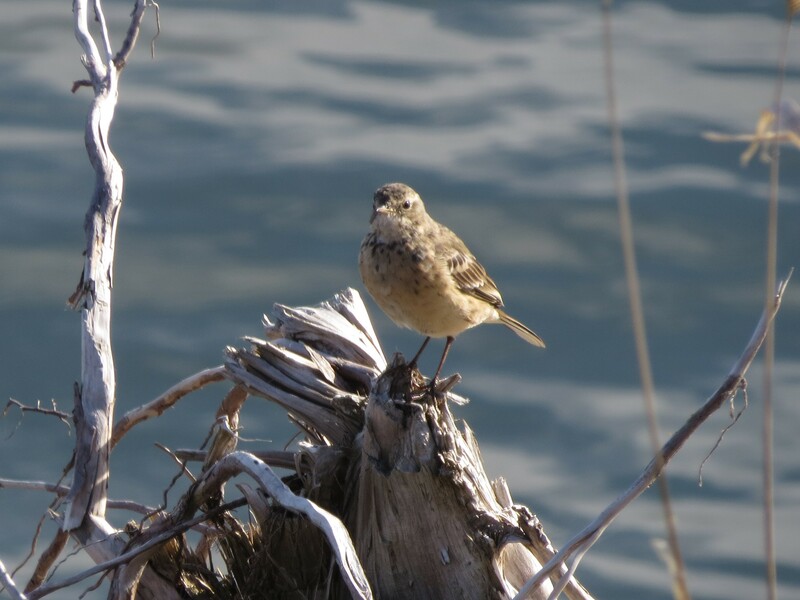 I recently took the Little Brown Birds class with Portland Audubon and feeling only slightly more confident about identifying them I focused my attention on the field marks. 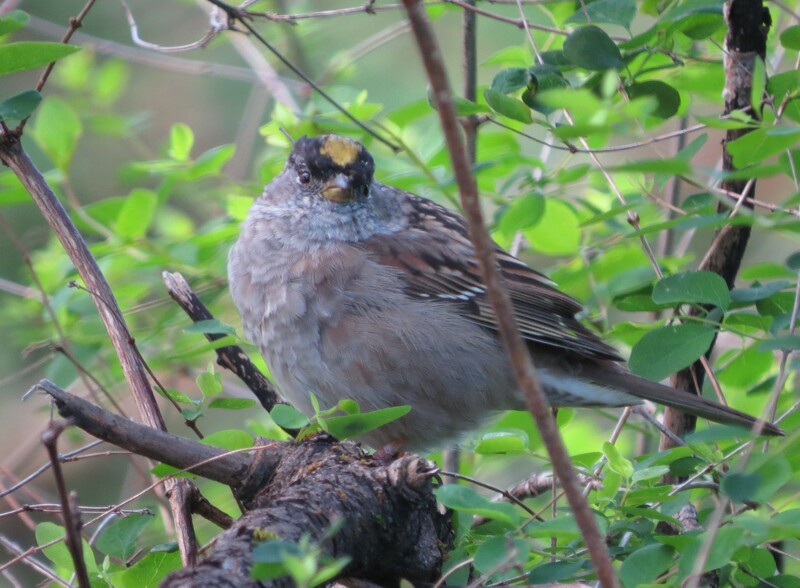 I also learned to ask: Why are you not a Song Sparrow? 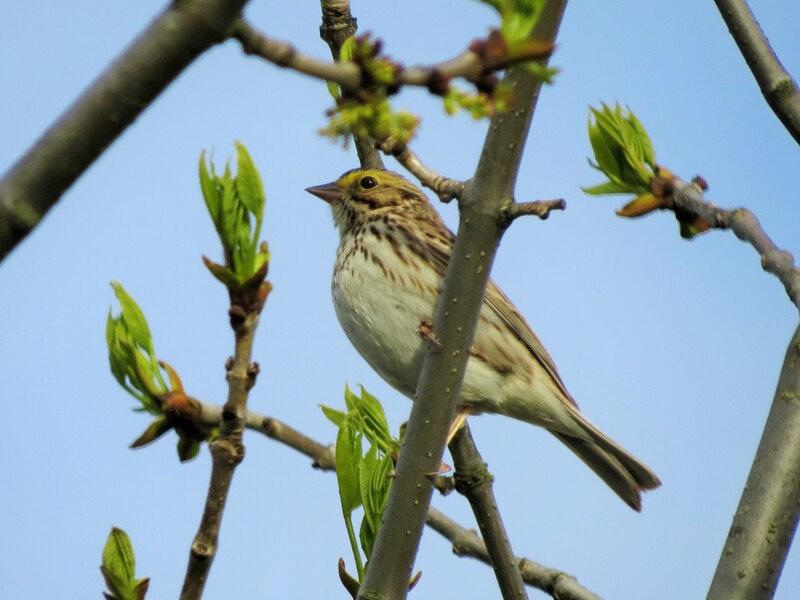 Because, most often it is, so the Song Sparrow makes a good “reference species.” The bird pictured above has a short, forked tail, and yellow lores making it a Savannah Sparrow. I continued biking along the Columbia River, until I spotted two active birds flying around and calling out in high pitched notes. What the heck is it I wondered. These are little brown birds that weren’t in my little brown birds class…uh oh…I turned to the field marks: buffy chest with light streaking, long slender pointed bills, pale lores…it still didn’t connect until I flipped through the different species in Sibley and came across the Wagtails and Pipits. 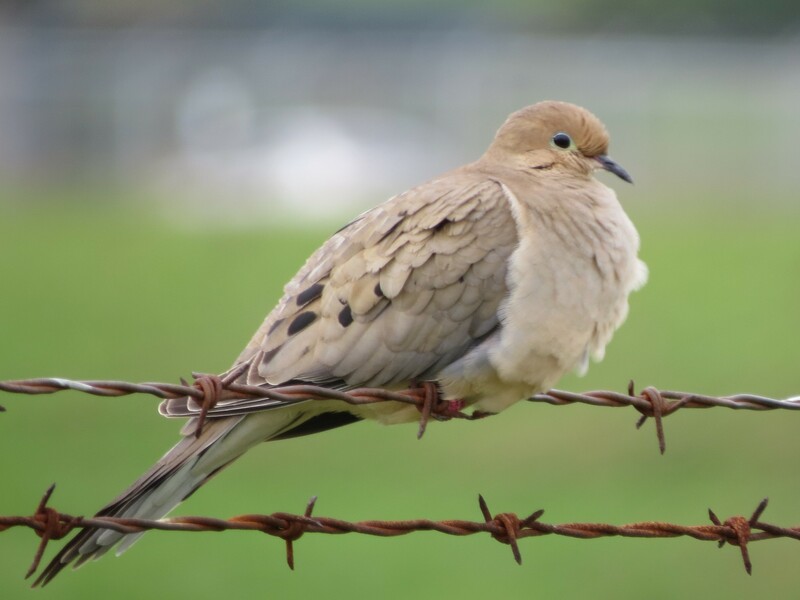 Ground-dwelling open country song birds that wag their tails up and down – this bird wagged its tail! 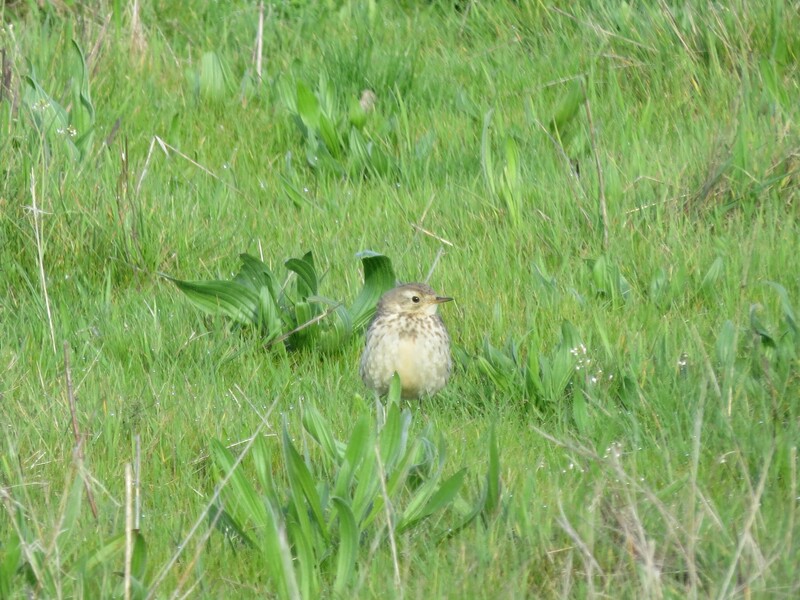 The little brown bird’s identity was uncovered: American Pipit! Following this excitement, I was further spoiled by two more newbies in the Columbia! 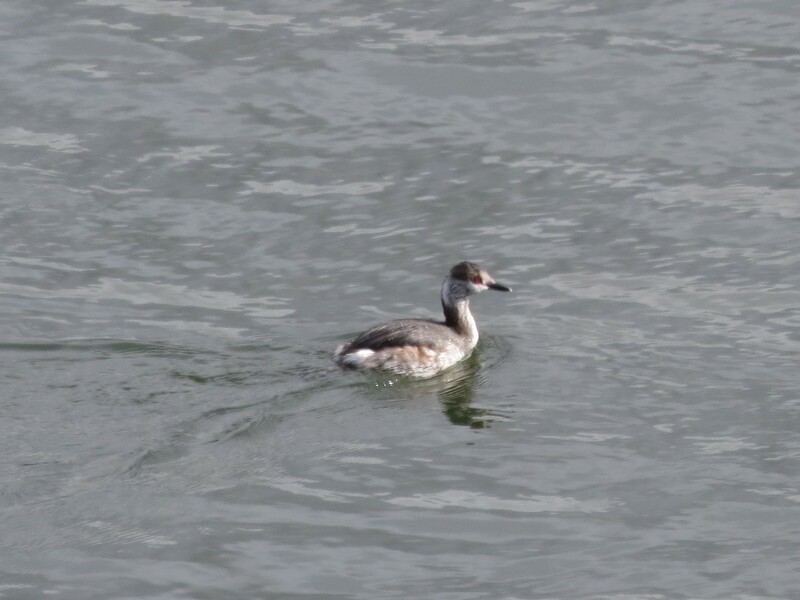 A Horned Grebe and a Common Loon (my 100th!). 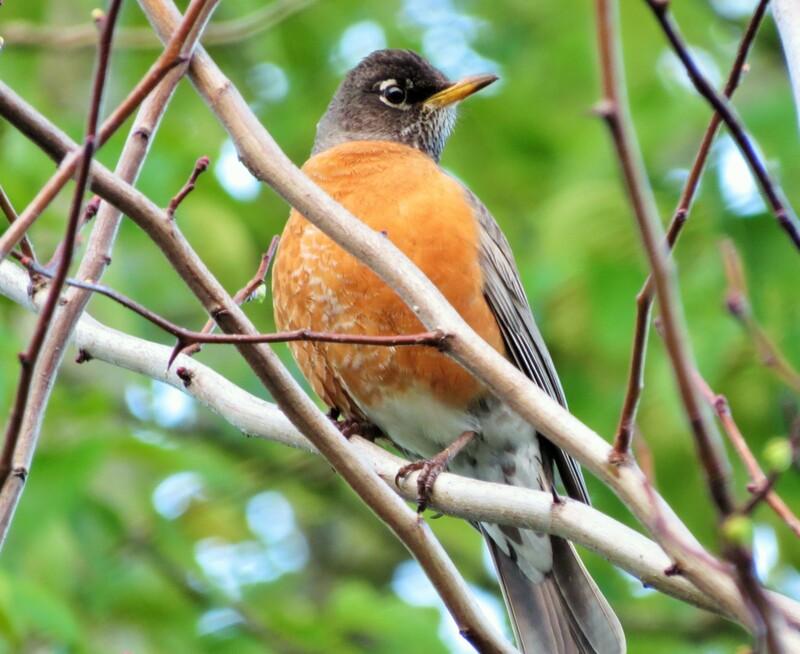 Looking up these birds on the Cornell website makes me want to take a trip to Alaska or Canada to see them in their breeding plumages in the summer. 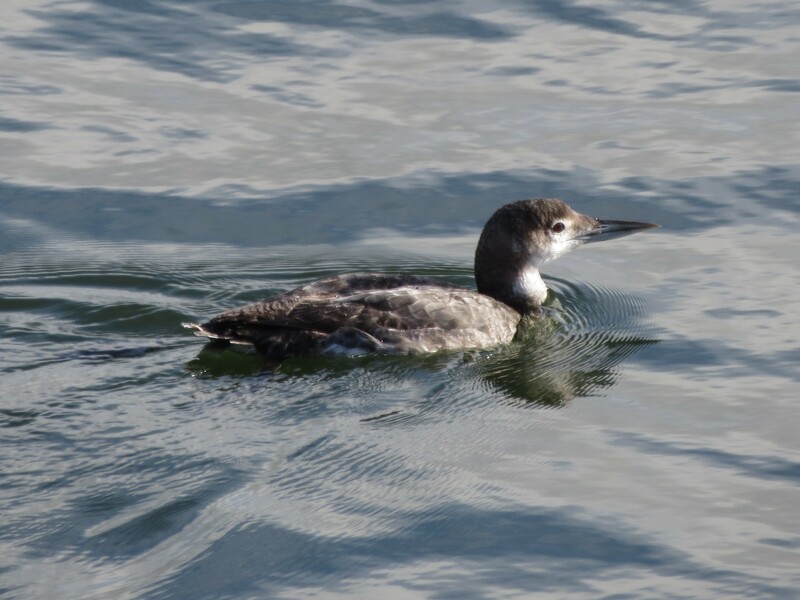 At the very least I want to some day hear the Common Loon’s haunting, wolf-like calls in person. It’s on my birding-bucket list. Here are some other birds I saw along my bike ride. A great ride and seeing beautiful birds makes for a satisfying and happy day. Speaking of beautiful birds, please help Audubon stop the Cormorants from being killed along the Columbia River. More information and how to help HERE. 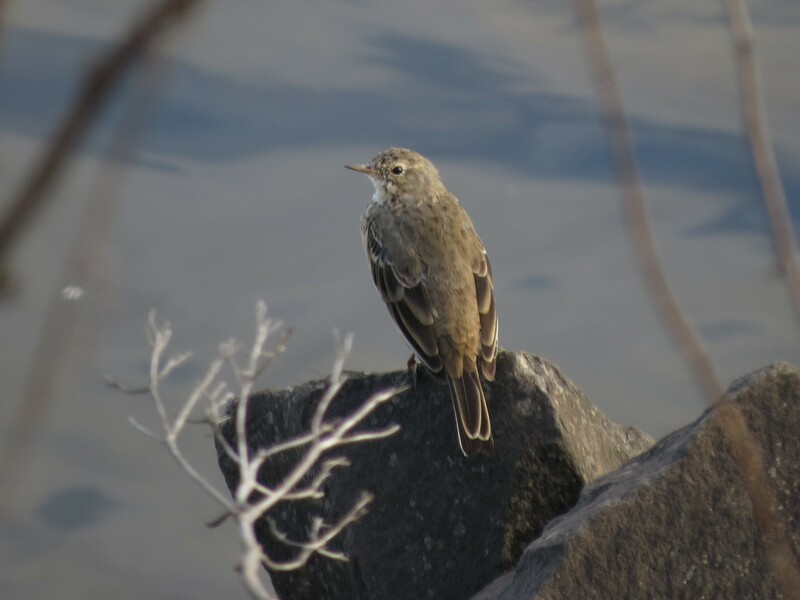 This entry was posted in Birding Trips and tagged American Kestrel, American Pipit, American Robin, Canada Goose, Common Loon, Double-crested Cormorant, Golden-crowned Sparrow, Horned Grebe, House Sparrow, Mallard, Mourning Dove, Ring-necked Duck, Savannah Sparrow by audge29. Bookmark the permalink.